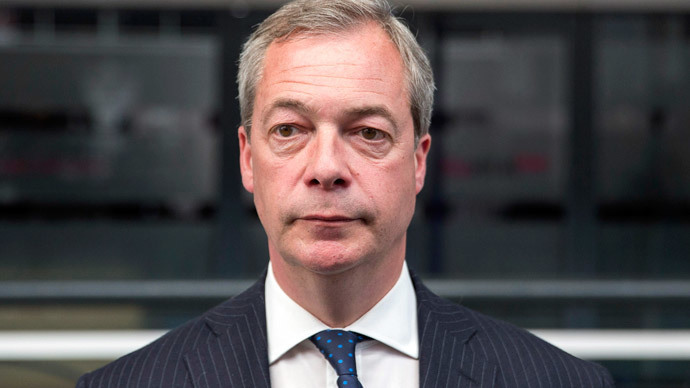 As UKIP seems on the cusp of civil war, Nigel Farage has publicly ruled out stepping down as leader for the second time despite mounting criticism from senior members and two high-profile resignations. Speaking to BBC Question Time on Thursday evening, Farage said his level of support within the party was “phenomenal” and that he was needed to provide an alternative to Cameron’s EU renegotiation plans. His remarks follow crippling comments from former UKIP treasurer Patrick O’Flynn who called Farage “snarling, thin-lipped and aggressive” after the leader dramatically “un-resigned” from his position. “The level of support for me in the party is phenomenal and, frankly, to go through a leadership contest at a time when [David] Cameron says he’s renegotiating our relationship with the European Union would be a massive, massive mistake,” Farage said. The UKIP leader also commented on the ongoing row between him and the party’s sole MP Douglas Carswell over £650,000 of short money [annual payment to opposition parties in the UK] available to them as an opposition party. Tory defector Carswell, UKIP’s sole MP, had previously said it would be “completely inappropriate” for him to use the funds to hire 15 members of staff for his office, and has suggested he choose how best to use the money. The row over funds and questions raised about Farage’s leadership has resulted in the resignation of two of Farage’s closest allies. UKIP’s Chief of Staff Raheem Kassam and Secretary Matthew Richardson both said they would stand down following criticism from other party members who said they had taken UKIP in a “poisonous” hard-right direction during the election campaign. UKIP MEP Steven Woolfe appeared on BBC Breakfast on Friday morning to attempt to reconcile factions and present a united party. He said O’Flynn was right to speak out, but added that the tone of the party needed to remain positive. “We are not a right-wing party. What was absolutely correct about Patrick’s analysis of this, and don’t forget that he was the person that was in there for five or six o’clock in the morning, running this campaign in the central office, seeing what’s happening across there, is that sometimes the tone in our party had started to slip to something much more negative and that’s not what the public of this country wanted,” he said. “We are a very positive party, it’s been proven that we run a positive campaign in here, and what we didn’t want to see is this kind of negative neo-con Tea Party kind of views coming into our party,” he added. Support for Farage came in thick and fast throughout Thursday amid the disintegration of party cohesion with Express owner and UKIP donor Richard Desmond saying he backed the leader 101 percent.